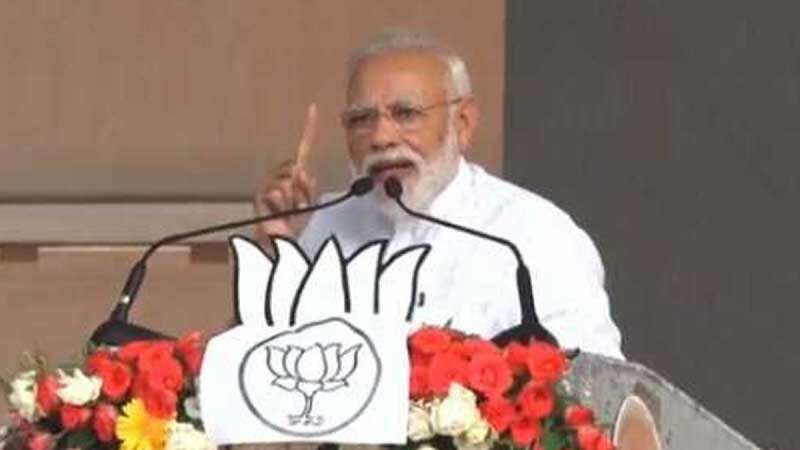 Kolkata : It looks like West Bengal Chief Minister Mamata Banerjee is more pained than Pakistan with India's successful Air Strike in the Balakot region, said PM Narendra Modi. Launching a scathing attack on Mamata Banerjee he said, "We hit there (Balakot) but it hurt people here. Kolkata’s Didi was more pained than people in Islamabad and Rawalpindi. We hit them entering their territory but Didi did not like it. Not only she, but all other leaders of the mahagathbandhan (were hurt). They shouted so much that they become heroes in Pakistan." PM Modi alleged opposition of destroying the confidence on security forces. “There is a conspiracy to weaken our armed forces. Wouldn’t you foil this conspiracy? This vote is also for showing respect to our armed forces,” he said. “The AFSPA is a shield for our armed forces so that they can efficiently carry out their duties. But they do not have trust on our armed forces. They do not have faith in our laws. This is why they have the audacity make such promises,” said the Prime Minister. “The remote-controlled UPA government in Delhi never gave our heroes a free hand,” Modi said.